This quilt can be made by using layer cakes or yardage. It also can be made in miniature by using charm squares. 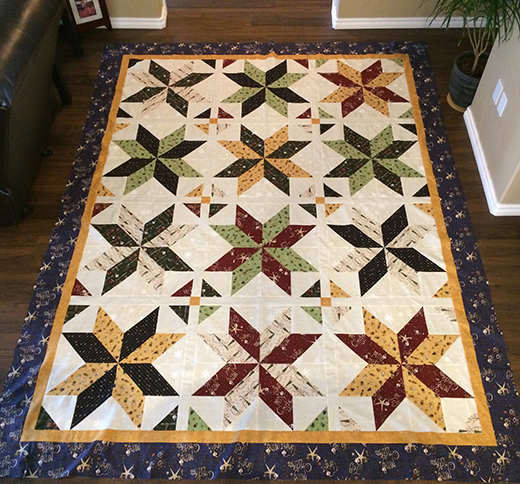 The Big Star Quilt designed by Jackie O'Brien, The Pattern is available for free.